So… what’s with the postcards? 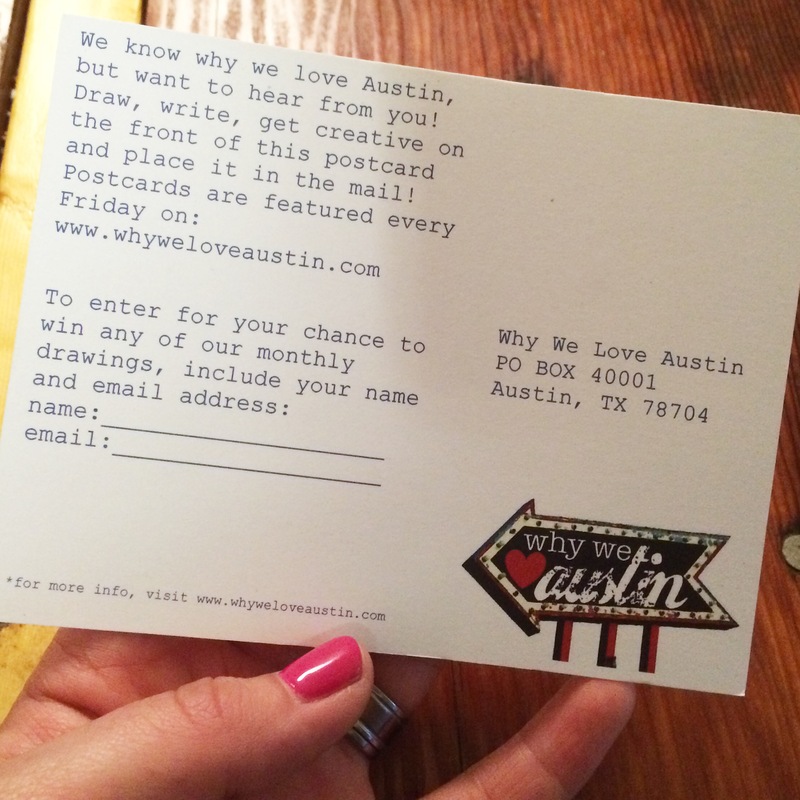 So, here’s the deal, y’all… we know why we love Austin, but want to hear from you! Why do you love this city you call home? We’d love to hear from you! Pick up a postcard, being dropped off at local businesses daily (I’ll leave a list OR you can request a postcard be sent to you via email), fill it out and mail it in! Draw, write a blurb or poem, glue a photo… get creative! Showcase your love of the land of the ATX on the postcard and mail it in- they are all pre-stamped. You can make it as anonymous as you wish (No name. No signature. No Twitter handle. 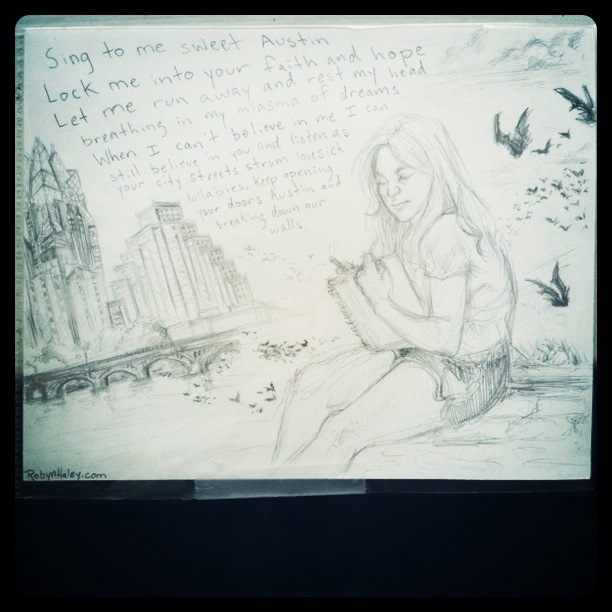 Nothing but your writing, drawing, creating). OR, you can add your name and email to the front of the card (we promise we will keep your name and email out of harms way). With your name and email address, we will contact a monthly winner. Once a month, we’ll draw a monthly winner from all the postcards received! Every Friday (properly named, Postcard Friday), we will feature all the weeks worth of postcards that land in our PO BOX, so be sure to check back! 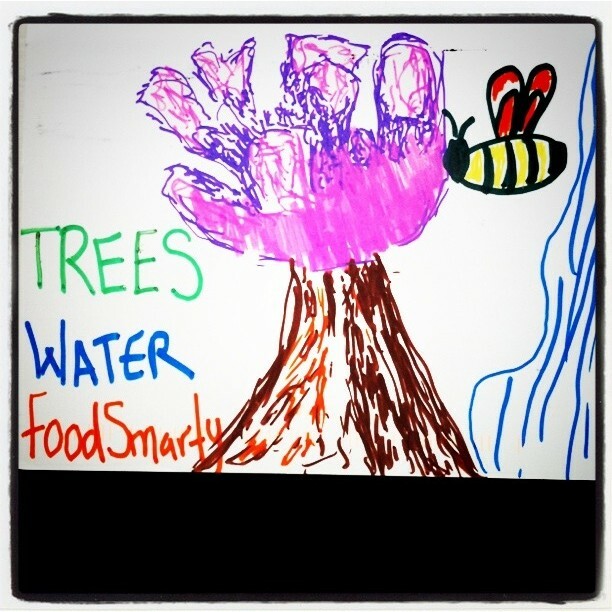 In case you need a little bit more inspiration, here are a couple more of my favorites- this beauty by Robyn Haley and the bright fun reminder that Austin has lots of trees, water and food smarts! So. Tell us! Why do you love Austin?